An Israeli spacecraft has crashed onto the moon after a series of technical failures during its final descent, wrecking hopes of a historic controlled landing on the lunar surface. The unmanned robotic lander, called Beresheet, suffered periodic engine and communications failures during the landing sequence, the support team said. 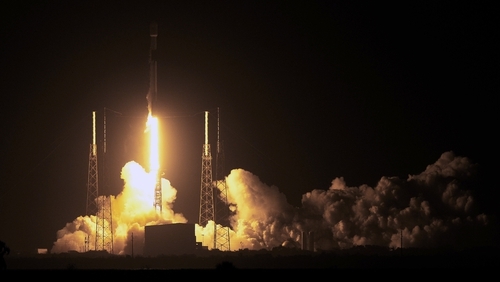 The rocket carrying the spacecraft had taken off from Cape Canaveral in Florida in February. Beresheet, whose name is Hebrew for the biblical phrase "in the beginning", had travelled through space for seven weeks in a series of expanding orbits around Earth before its short and ultimately disappointing conclusion. #Beresheet's main engine fail! Spacecraft failed landing. Appeared to have crashed on the moon's surface! So far, only three nations have succeeded in carrying out a "soft" landing on the moon - the United States, the Soviet Union and China.